Designed for members and their employees to engage and grow professionally. 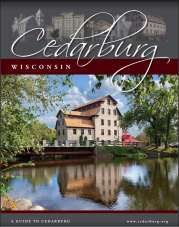 Join Cedarburg Chamber member Conley Publishing Group for an informal talk on the topics of digital marketing, ways to approach it, and how small businesses can capitalize on the toold and technologies that exist in today's world. Join the Chamber and guest presenters, Heather Rogge, Digital Marketing Director at Conley Publishing Group, Laura Schmidt from MKE Lifestyle Magazine and Dave Koester from the News Graphic. Please register online or call the Chamber at (262) 377-5856 by February 1.